Two recent settlements announced by the Federal Trade Commission (FTC) drive home the point and serve as an important reminder that employment background screening is subject to the federal Fair Credit Reporting Act (FCRA). You, as an employer, should understand how the FCRA relates to your employment screening program and ensure that your consumer reporting agency (CRA, background screening provider) is doing their part to keep you in compliance. The settlements highlighted by the Commission involve companies that provided background information about individuals to employers, but allegedly failed to uphold their FCRA obligations. Investigate consumer disputes about the accuracy of information they provide. When you run background checks through a company in the business of compiling background information, you must comply with the Fair Credit Reporting Act (FCRA). The Federal Trade Commission (FTC) and the Consumer Financial Protection Bureau (CFPB) enforce the FCRA. Disclose to the applicant or employee you might use the information for decisions about his or her employment. This disclosure must be in writing and in a stand-alone document. 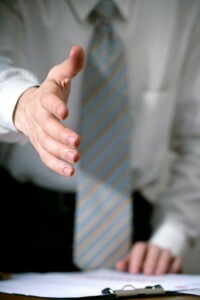 If you are asking a company to provide an “investigative report” – a report based on personal interviews concerning a person’s character, general reputation, personal characteristics, and lifestyle – you must also disclose to the applicant or employee of his or her right to a description of the nature and scope of the investigation. Obtain the applicant’s or employee’s written authorization to perform the background check. don’t discriminate against the applicant or employee, or otherwise misuse the information in violation of federal or state equal opportunity laws or regulations. Your background screening provider (CRA) should be able to help you maintain your compliance with FCRA requirements. If they can’t, or you aren’t confident in their expertise give us a call, we can help.